The worlds biggest brands and favorite characters singing and speaking your child's name! 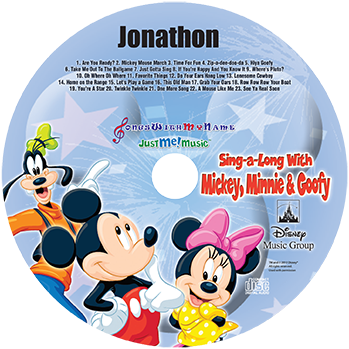 Each CD is personalized by your child's favorite characters. Perfect for gifts. Disney Princess, Elmo, Barney, VeggieTales, Mickey Mouse, Spiderman and More. Little girls love the Disney Princesses and they love tea parties. 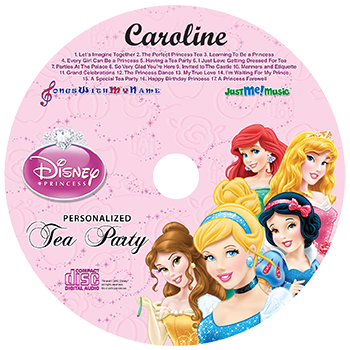 In this personalized music CD the beautiful Disney Princesses invite your little girl to a tea party at the castle. Your little girl will love hearing the Disney Princesses sing and speak her name over 55 times! A little girls dream come true. This personalized CD even includes a personalized birthday song perfect for your beautiful princess. 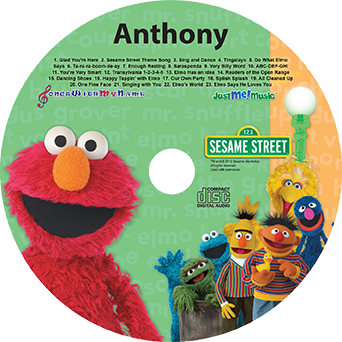 Your child will love to sing and dance along with Elmo and his friends from Sesame Street as he listens to this personalized music CD. This CD features 23 tracks with 11 great Sesame Street songs and 12 tracks of dialogue with Elmo and his friends singing and saying your child's name over 60 times! Your child will love to sing along with Mickey, Minnie and Goofy to these classic Disney songs that we all know and love. This personalized music CD features 23 tracks full of Disney fun with 11 songs and 12 dialogue tracks that say your child's name over 80 times! 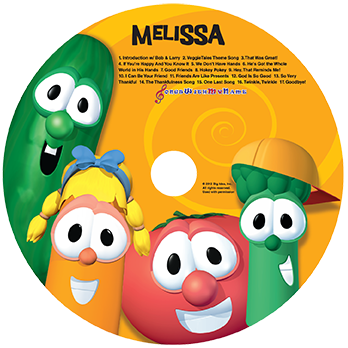 Your child will love to sing along with Bob and Larry from the VeggieTales in this personalized music CD that features 17 tracks - 8 songs and 9 dialogue segments personalized by singing or speaking your child's name over 25 times! Your child will have lots of fun being silly with the VeggieTales as they sing and dance along to the music. 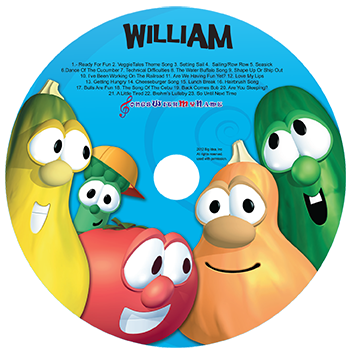 This personalized music CD has 11 “Silly Songs” and 12 dialogue segments that use your child's name over 45 times! 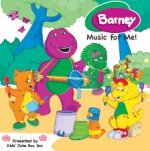 Your child will LOVE to spend a fun filled day with Barney the purple dinosaur and his friends in this personalized music CD. They will laugh and sing and dance as they hear Barney and his friends singing and saying their name in these wonderful classic Barney songs. Includes songs include "Everyone is Special", "Bright New Day", "Laugh With Me", "You've Got to be You", "If All the Raindrops" Rain", "Rain, Go Away", "Mister Sun", "Icy Creamy Ice Cream", "Growing Big and Tall" and of course the famous "I Love You"
In this fun and energetic adventure CD your child will become a hero and help save the Wubbles,the magic bubbles from the mean Popits who want to pop them. The Wubbles Adventure features the child's name 53 times. The Wubbles Adventure now comes in a personalized DVD too!! This personalized music CD contains 8 high energy songs that capture the skills, spirit and power of each of the top Marvel characters. You child's will love to hear their name sung live into the music over 58 times! Let your child spend an amazing musical day with Spider Man and his super hero friends, Wolverine and the Fantastic Four as they battle the villainous Dr. Octopus and Green Goblin in this personalized Spider-Man music CD! Your child spends the day with his favorite Marvel Superheros in this exciting musical adventure. They will have fun as they sing and dance with The Fantastic 4, The Incredible Hulk, Spider-man, The X-men, Electra, Blade and Daredevil. This personalized music CD features your child's name sung live over 40 times in 8 original personalized songs.